I vouched to find a solution to the mini Amnesia Tsunami in my home and landed up in a Furniture shop to get the capsule. Well, now don’t stare at the post. Keep reading. I tried to search for the capsule, but could not find a satisfactory solution. I took my parents with me too, as they knew about more furniture shops, but Alas! the prized future possession was still ever elusive. I reached back home, dejected and pondered about the next step to achieve the capsule. I was desperate and wanted it with all my heart. I have dreamt of it ever since I remember and wanted the universe to conspire to get me to it. With sadness, I opened my laptop and my eyes widened. The software to create the image of the capsule’s outer container was right there in front of me and I never noticed it!!! I clicked on the Google sketchup button and started drawing the structure of the capsule. I wanted to give it a very modernistic look but I was a little apprehensive that it might compromise its strength. When I was satisfied with the sketch, I took a printout and took it to the furniture shop for a price estimation. The guy sitting there had a look at the design and made a few changes in the capsule for better effects and strength. Initially the capsule looked somewhat like this. After I finalised the price and gave the order, the capsule was delivered within 10 days at my home. It was an empty container and I was supposed to fill it with all the required colourful medicinal pellets. This is how the capsule container looked like when it arrived. Empty and waiting for the magic pellets. 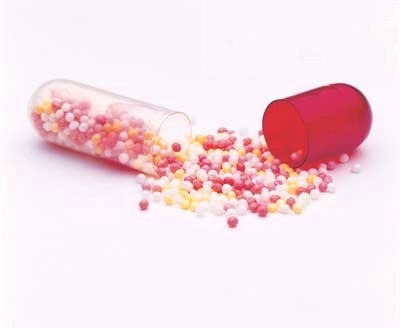 I had an uphill task of filling the capsule container with these colourful pellets of medicine. There were too many of them. Colorful and beautiful. Aren’t they? I took a deep breath and started. After two hours, the capsule was ready. Adorned with the pellets and ready to fulfill my most dearest wish. The cure was finally here!!! Eureka!!! I finally got what I had always dreamt of. I called mom and showed her the capsule. She smiled and a calm washed all over her and she was fully cured by just looking at the capsule. Now, she would never forget anything because the “Capsule for Amnesia” contains all the answers. So, Ladies and Gentlemen, presenting, THE CAPSULE. LOL 😀 Too good!! I have such capsules in my room too which is stashed with around 500+ books starting from Enid Blytons, Nancy Drews, Asterix, Wodehouse, Rowling, Sidneys, Cooks, Ludlums, Grishams to Electrical engineering, Environmental Engineering and Medical books. I sometimes feel like donating all the kids books to some library. Good post!! Does ur mom read your blog? Wonder the empty ones are left for mom’s possessions kya? I didn’t know these were capsules. I always thought of them as medieval torture chambers…. The Capsule looks damn good and I can relate to what u are feeling or saying….. I loved the capsule 🙂 And whoa you can open a library. This is an eternal problem in my life. 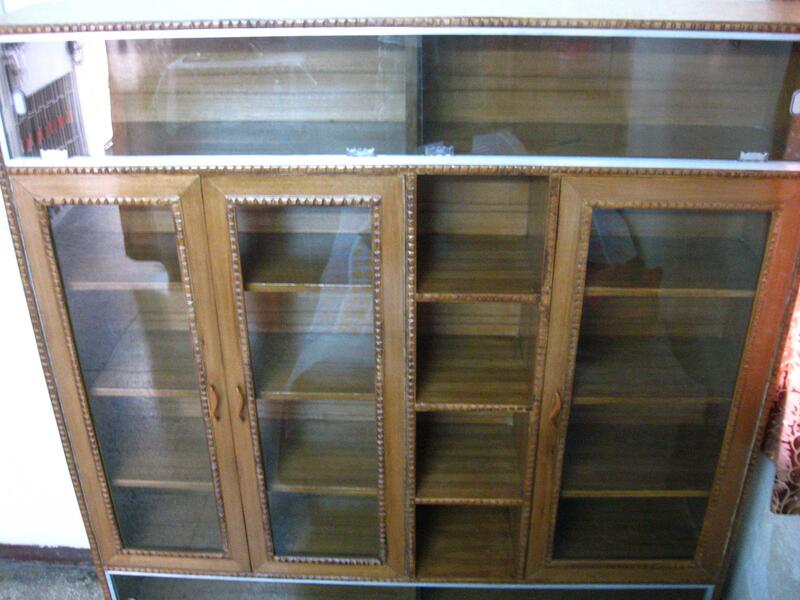 I can only envy you for having found something that can contain your books AND DVDs (and have space to spare). The result is that I have now 4 cartons unopened since last year, and books under the table, and on all possible surfaces including the window sill. These are in addition to the four 6″ tall bookcases in my study and two in the spare bedroom that are full of books with another layer stacked in front. Thankfully I have a visual map of my books in my head so I know where to find what. @Oxy : Some people had the audacity to choose the second option. I hope you are not one of them. @Maddie : Thanks. 🙂 Go get it!! @Anshul : 😆 Good one! @Shefaly : Right now I would give anything to have a whole library of my own. A room full of high shelves filled with books. But, that is going to be a dream for a looong time. You are quite close to that. 🙂 And yes, I can understand the investment part. 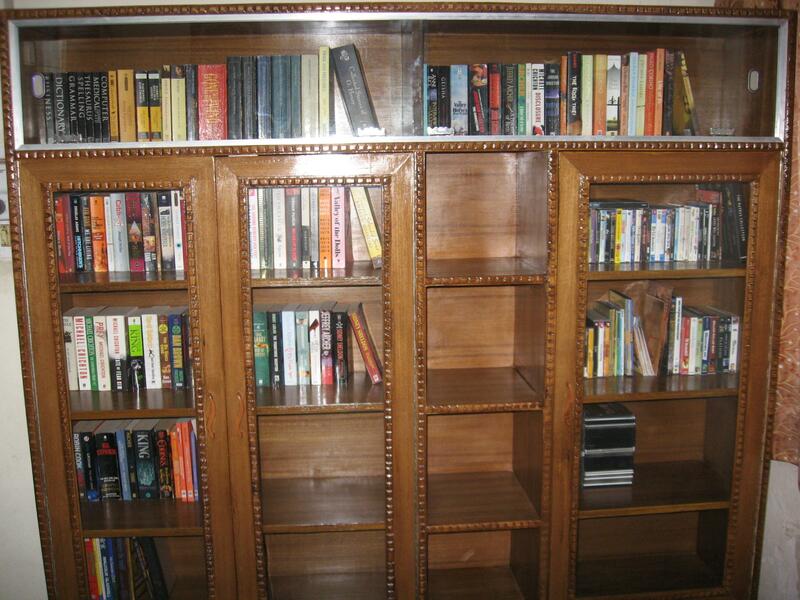 This shelf cost me 10,000 Rs. 🙁 Think of the number of books I would have bought with that money. But my books were just rusting away and I had to do something for them. Nicely designed shelf and seems to have a lot of room. But this shouldn’t force you into buying more stuff and filling it up. You should let it happen gradually and after that you will be ready to design the next capsule made of Aircraft grade Aluminum alloy. wow ..the capsule looks good. .
and all the books look so new. .
looks like u care for them a lot ..
LOL, your posts are becoming more interesting and more captivating by the day. You have this writing style that makes the reader want to keep reading and reach the end. @Dinesh : Nope, its not forcing me to. I buy books on my own sweet pace. 🙂 Yes, next capsule will be bigger. @Vijaya Bharat : Thanks. 🙂 The cost of the capsule is already there on the post. Search!! Amit, very pretty 🙂 Unfortunately, I don’t know what to choose in your poll. But yes, I do like it very much. I’m contemplating buying one that runs from ceiling to the floor, but I keep moving and can’t carry so much of furniture around. 🙂 Happy Diwali!! 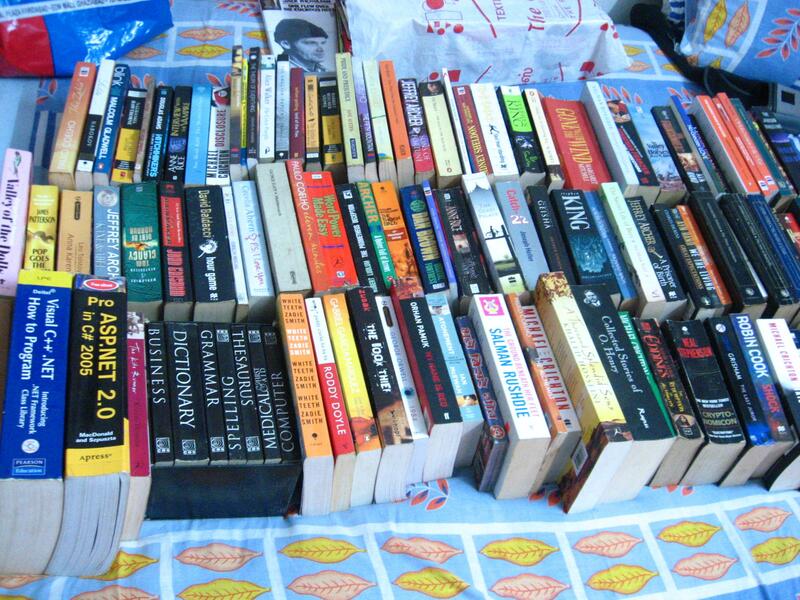 ah…i too need a good bookshelf. Got tonnes of books here in S’pore and am planning to ship them to India. @Ruhi : Thanks. 🙂 Hey! Good to see you after such a long time. Yes, carrying them will be a pain. This one reached the room with a lot of effort. And Happy Diwali to you too!!! @Manoj : Strange na? Yeah I know I need to see a shrink! 🙂 I finished NL a long time back with all the exercises. 🙂 But I would love to read it once more. Its a great book. I’ve been around. But I’ve been lazy, busy, internet-less and room-less. Not to mention inspiration-less also. Shoebox capsule for the headphones, not a bad idea! I can actually use my Converse ka dabba which I refuse to throw away because I think it’s beautiful. Darn, you’re a genius! @Ish : Hmmm…ok. Excuse accepted but only for a short time period. wow man!! This is an awesome post!!! What an expression n imagination!! Done so subtly……. u planning to start ur column somewhere in TOI or HT??? Arey i dnt know how did i miss this post!! 🙁 I am sooooo late here!! But anyways, better late than never!! the design is great seriously!